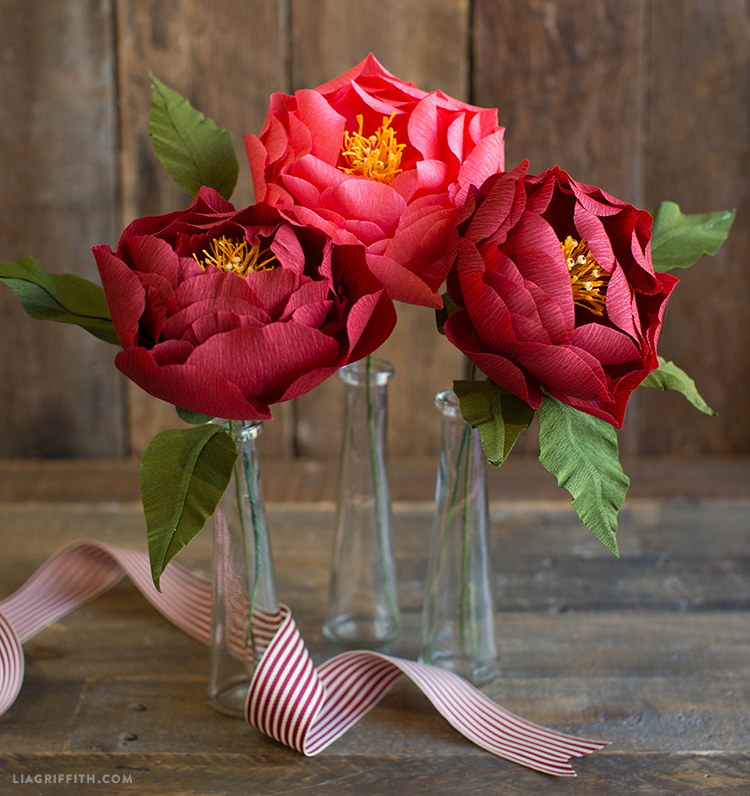 We never tire of coming up with gorgeous new peony projects! Such a gorgeous flower… we’re in love with their beautiful shapes and vibrant colors. Introducing our latest peony, perfect for the change of seasons — our crepe paper peony for fall. Gather the supplies listed here, download your peony template below, and craft along with our simple step-by-step photo tutorial to make some paper magic! 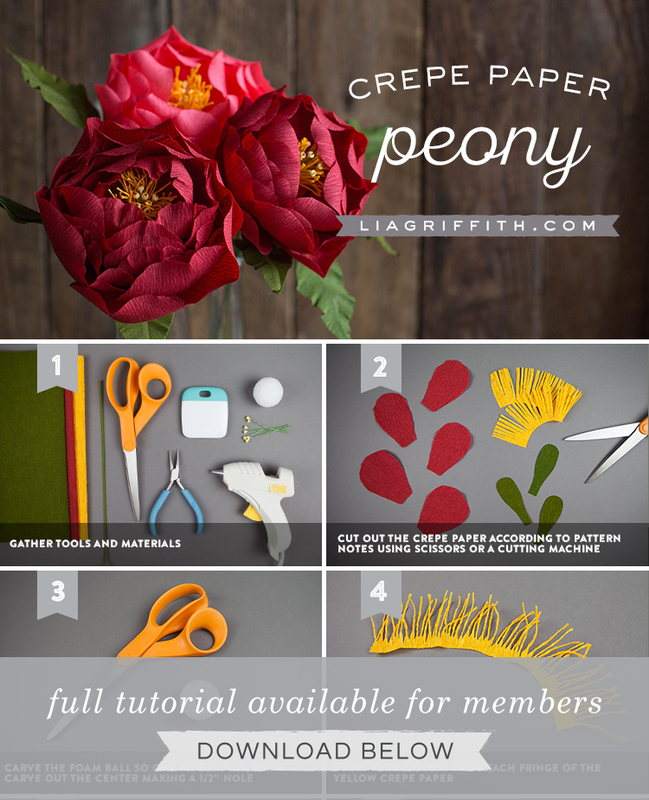 If you’re using a cutting machine, we have an SVG file for this crepe paper peony. Or you can download the PDF template if you’re using scissors. Gather the tools and materials listed above. 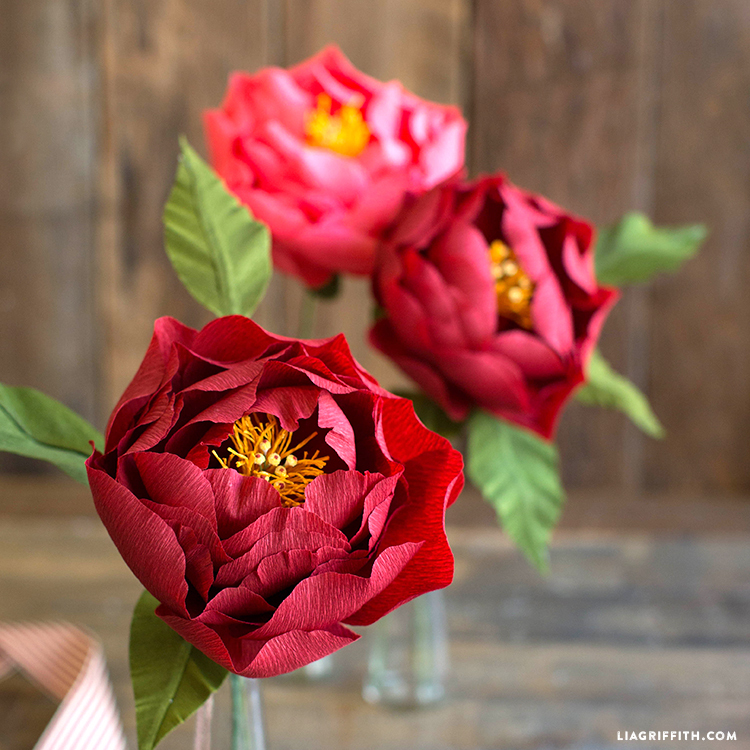 Then download your crepe paper peony template below. Cut the crepe paper according to the pattern notes using scissors or a cutting machine. Carve the foam ball so one side is flat, then carve out the center making a 1/2″ hole. Using your fingers to twist each fringe of the yellow crepe paper. 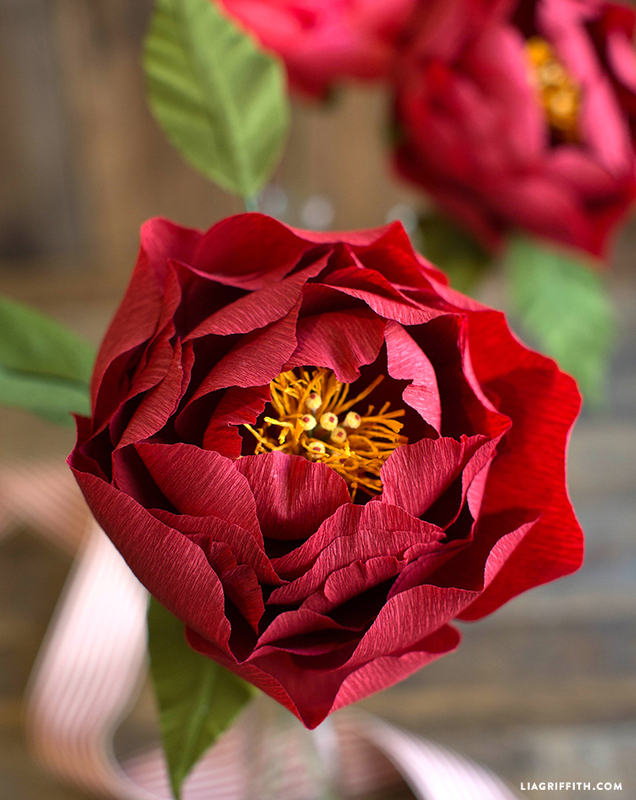 Like this crepe paper peony? 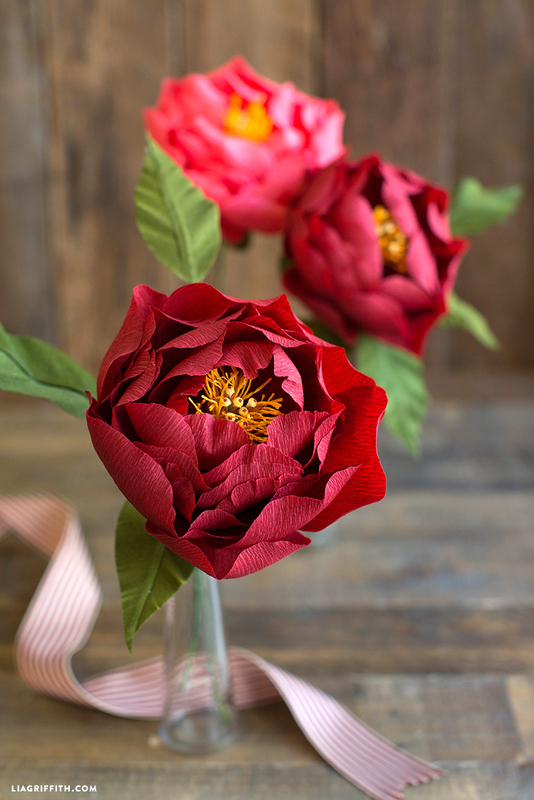 Explore many more DIY paper flower ideas here! 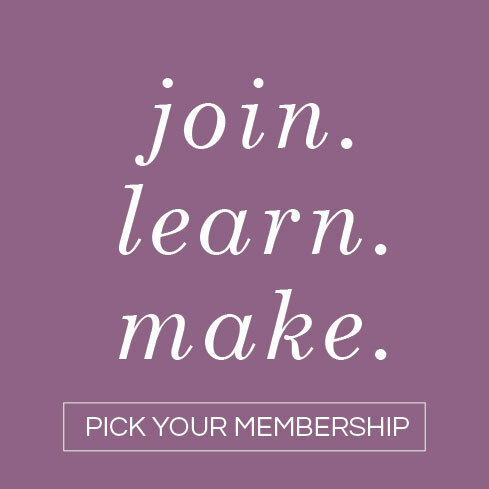 And follow us on Instagram, Facebook, Twitter, Pinterest, and YouTube for endless inspiration. the template doesnt seem to be showing up for me. 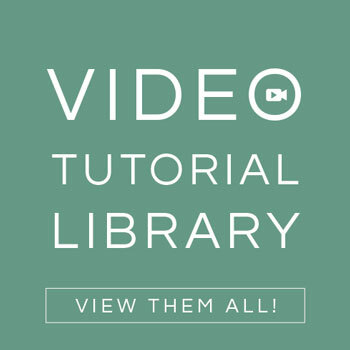 i’ve downloaded it multiple times and it shows just a blank website page. Hi Tina! Did you check your Downloads folder? Certain browsers will open a window but the download ends up on the desktop or downloads folder. If you want to email a screenshot of what you’re seeing to hello@liagriffith.com, we will try to help you more! Where can I find a curling tool as shown above and the white scissors shown in your video on the history of crepe paper? We just used a Cricut Scraper to curl. But stay tuned for our own curling tool coming out with our Fiskars line launching at JoAnn stores in the next few months! The white scissors are probably a Fiskars brand. I don’t see the template for the gold stamen. What length and height should I cut out. I would also like to know where you purchase your test weight, frosted paper. I have not been able to find the colors I’m looking for. Thanks for the heads up! The stamen has been added to the template. 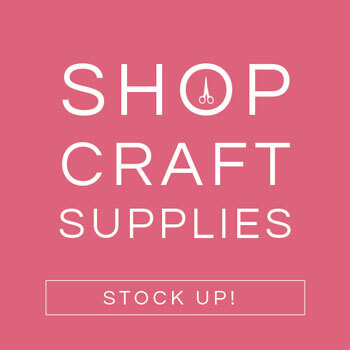 We love paper-papers.com for text weight frosted paper! Anything by Stardream or Curious Metallic is lovely.